Last Minute Holiday Gifts Under $50 with Free 2-day Shipping! Guys… there’s only one more week till Christmas! I can’t believe that it’s coming up so quickly. I’m currently on my way home and am so excited to relax with the family, bake cookies in Christmas pjs, and watch holiday movies! I’ve had a lot of people tell me that they are still looking for gifts for certain people. It can get so hectic trying to find that perfect present while you’re busy with work or school. I rounded up a gift guide with last minute picks under $50 that are all free two-day shipping. 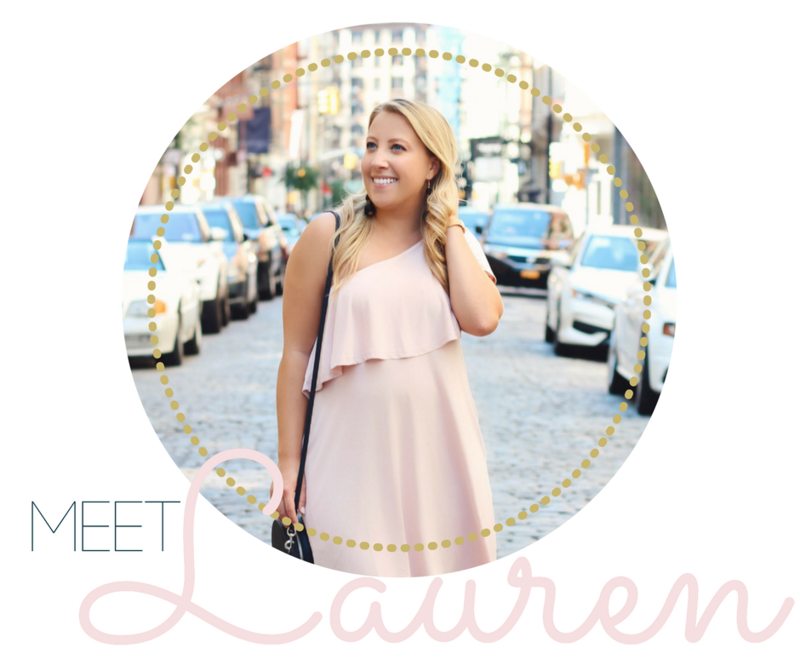 You can view each item by clicking on the photo below! What’s your favorite last minute gift to give? Ahh, I still have shopping to do! These are such great gift ideas, and I’m loving those beanies! I’m loving pompom beanies so much rn! These are all so cute ! I love these beanies! I actually love that little wireless mouse. I like my trackpad but sometimes prefer a mouse! Love all your picks! The mug is so cute! These are great options! I love that grey cozy blanket. Ahhh, can’t believe Christmas is in 4 days— insane!! These are all such cute last-minute gift picks! Loving all these gift ideas! Christmas has snuck up on me this year. I’ve been hoping for a jade roller! And the lightbox is a great idea as well. These are all such clever last minute gifts! 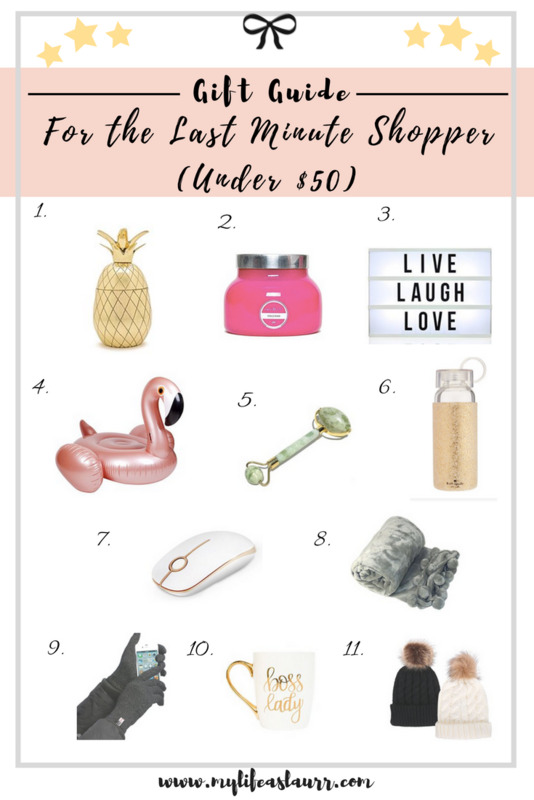 Loving this affordable last minute gift guide! These are such great picks! I can’t believe how fast Christmas came this year! 2 more days! So many great gifts! I hope you’re done shopping now! These are some great gift ideas here! Ooh, I want it all! Especially numbers 1, 3 and 7!